I think a lot of us have that ‘aha’ moment where we realise today's the most able we will ever be so we should probably get cracking on with stuff. 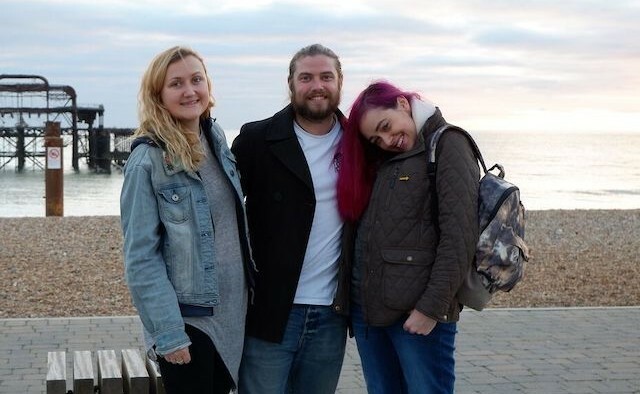 Parkinson’s activist Emma Lawton – who was diagnosed with the condition aged 29 – has created The F—it List , a year-long challenge where she tries something new every day. So, at the time of writing you are up to day 100, how is it all going? It’s not going too badly thanks! I’m feeling pretty smug that I’ve got this far to be honest. It’s quite admin-heavy and I find admin fairly boring, so it’s a bit of a miracle that I haven’t given up on it yet. I’ve learnt that if I do the admin, I get rewarded with fun adventures – so it makes the task a bit more fun. I sound like Mary Poppins! Your experiences range from amusing activities, to ones that are more emotionally challenging. Do you think it is important to keep a balance? I think the project imitates life, especially life with Parkinson’s. You can’t have fun days every day – some days will always be more of a challenge. In fact, some ‘F—its’ on the list are deliberately things I have an inkling I will absolutely hate or that might upset me. That’s okay because it means it’s really pushing me out of my comfort zone. You seem to have met a lot of new people through this project. Do you think you’ve made some friends for life? It’s been one of the surprising outcomes of the project. I knew that by doing the activities with different people each day I would potentially reconnect with some old friends, but I never realised I would make some new ones. I’ve had so much support from companies who have donated activities, with a few of them saying they don’t mind whether I write a blog about them or not. They just want to be part of the project. If I’m attending an event on my own The F—it List gives me a great topic of conversation to make connections. It’s obviously very time consuming, how have you been able to keep on top of it all and document it online? To be honest I am only slightly joking there, because I’m juggling so many activities and working full-time I have to really be on the ball. I have a spreadsheet and a filing system and a routine for putting stuff into my diary because it’s such a pain if I double-book myself. In most cases, I try and write a blog post on the day because if I get a backlog then it becomes so much more challenging. Having said that, I do really love writing so it’s a real joy. I’m also loving taking photos. Usually the longest part of pulling the blog post together is going through the 127 images I’ve taken. 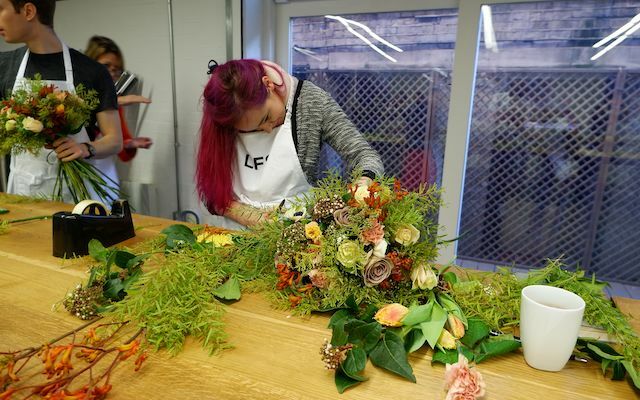 Emma Lawton takes part in a flower arranging class. What do you hope other people with Parkinson’s take from The F—it List? I feel like in most cases this project preaches to the converted as far as people with Parkinson’s are concerned. I think a lot of us have that ‘aha’ moment where we realise today’s the most able we will ever be so we should probably get cracking on with stuff. For anyone who hasn’t made that realisation yet, perhaps this might act as a gentle nudge. I hope people in general will see that it’s okay to invest in yourself, to push yourself even if only a little bit. By going to the extreme and doing something different for 365 days, I wanted to raise awareness. But even doing something different for a day can change your mindset. I’ve noticed that in the people I take along with me for the activities. Have there been any points of this challenge where you have considered giving up? A few weeks ago, I got poorly. It was just a cold, but getting better and working through the list was more than I could handle. The tarot reader I visited on day 11 did actually tell me that a project would be halted because of ill health. Although perhaps a lucky guess, as I did mention five minutes before that I have Parkinson’s! After ducking it for a few days my friend Sarah, who is a psychologist and coach in things like meditation, created a list of self-care practices that would help soothe and rebuild me. This was such a great idea and a nice addition to the list. I can now look after myself without putting the brakes on the project. I’ve loved things like flower arranging, baking and cheesemaking most. I never knew I was so twee. I also really loved having my body painted. It was a really freeing experience. Do you have any exciting challenges coming up? I’m really excited to see the work of an artist who has been painting a portrait of me. As part of an exhibition on people with Parkinson’s, Ian Bruce has created some amazing imagery, capturing the layers of his painting on film and running them together to make animations. It’s a really beautiful process and I can’t wait for it to be revealed on the 11th. I’m also ridiculously excited about going to Kyoto in Japan for the World Parkinson Congress because everything will be a new experience out there. Be prepared for lots of blog posts about loads of really mundane things happening in a really fun place! Do you think society has conceptions that people with Parkinson’s can’t do certain things? And do you hope The F—it List goes a long way to challenge that? I definitely think there are people who expect us not to do things but that just comes down to poor awareness. I think also sometimes people struggle to get their head around the thought that someone with a disability might be living a more active life than themselves. Often when I get in a taxi I get asked if I’m coming from or going to hospital. I find telling them I’m off to have my daily adventure tends to nip that one in the bud. 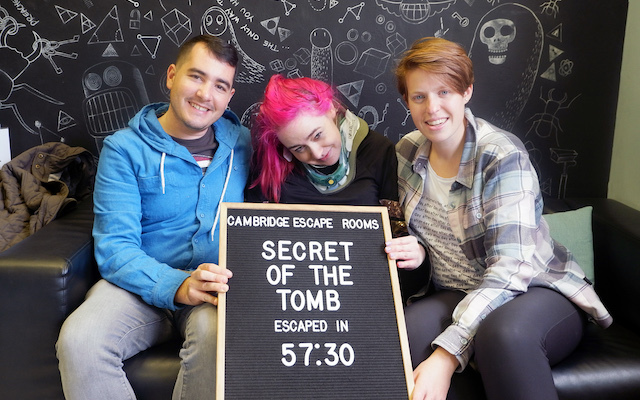 On day 93 of The F–it List, Emma completed an escape room with friends.